In the early 1990’s, I was invited by the Egyptian association for religious brotherhood to lecture in a church in Cairo to Muslims and Christians about tolerance. I was warned that there was a suspicious bearded man waiting for me in front of the church. We talked. He told me that he had spent two months trying to meet me. He told me that he had been a member of secret fanatic organization and was assigned to rebut my discourse, but that my words had changed his and his family’s life. He asked me to join my weekly Friday prayer meeting at my home, and if possible bring his family. After a month they became Quranists. The Quranists are intellectual Muslims who believe in Islam as the religion of freedom, democracy, tolerance, justice, peace and human rights. They fight the terrorists’ culture from within Islam, using Quran as the only source of legislation. The Quranic movement started in 1979 by sincere Muslim scholars who specialized in the contradiction between the true Islam and the Culture of Muslims. Therefore they were victimized by terrorists and fanatic scholars. Being activists for human rights and democracy, and calling for peaceful reform from within Islam, the Quranists are also victimized by the Egyptian regime. The Egyptian regime and Muslim Brothers are against each other but are usually united against Quranists. The Quranists have suffered three waves of arrest; in 1987, 2000-2001, and finally the third wave starting May 28th, 2007, when five of the Quranists were arrested, tortured for 37 days, interrogated, and suffered ridiculous accusations about their faith and prayers. Their families were also persecuted in Egypt. Some moved to Upper Egypt and some stayed indoors. The Muslim Brothers used mosques, media and the education system, as well as their control of the streets to try to tarnish the Quranists as ardent enemies of Islam. After the Egyptian regime officially accused the Quranists of insulting Islam, fanatics used the accusation to call for the Quranists’ death. The five Quranists have been released in October 6, 2007, after more than four months in prison. Because of torture, my brother Abdellateef had to undergo surgery in his ear. Amr Tharwat needed surgery on his leg, while Ahmed Dahmash has damage in his backbone. The persecution continues. Every week, they must go to the same prison to be interrogated and humiliated by the security services. Any ny time they may be arrested and tortured again. They are ordered to pray the weekly Friday prayer in fanatic mosques, and are not allowed to contact me, or to write in our site. In this way he Egyptian regime is seeking to make an example for the rest and keep the Quranists from continuing their reform movement. As an assistant professor at Al Azhar University, the oldest and most famous religious university in the Sunni Muslim world, I wrote five books in 1985 to reform Sunni religious life.. I was accused of being against Islam because I denied the intercession of the prophet Muhammad in the day of judgment, deny his infallibility, and deny that he is the best and the master of all the prophets. In March 1987, I was fired. In November 1987, I was arrested, along with 24 of my followers, and accused of being a denier of the Sunna, the sayings and the deeds of the prophet Muhammad. The government claimed that my writing were a call for Muslims to abandon Islam. After two months I was released. To save my life, I escaped to the United States. When I returned to Egypt in October 1988 I was again arrested, and released after two days on the condition that I not defend myself whenever the fanatics of Al Azhar attacked me. In the period 1988-1995, I was attacked so severely, and received death threats so that I asked for court protection. From January 1996 until June 2000 I worked at the Ibn Khaldoun Center as a Muslim scholar and moderator of the Center’s weekly forum. The Center is run by Dr. Saad el deen Ibrahim, the famous sociologist, and leader of the movement for human rights, civil society and liberal culture in the Arab world. 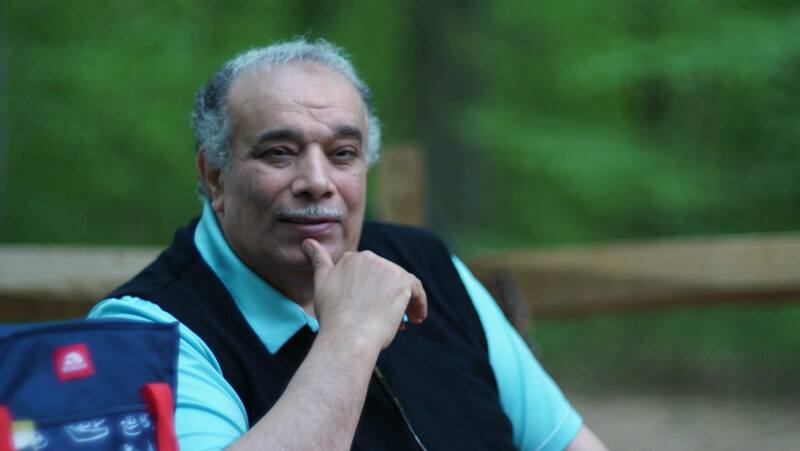 As an American citizen and part-time counselor of President Mubarak, Dr. Ibrahim has had great influence in Egypt in the 1990s. My life was in real danger after I wrote a book as a project for the Center on reforming the Egyptian education system to make it more tolerant. I was severely attacked in the Egyptian parliament. As a result of problems between Dr. Ibrahim and President Mubarak, Dr. Ibrahim was arrested in June 2000 and the Center shut down. Since I was in serious danger, and some of my relatives had been arrested, I contacted and explained the situation to officials in the US embassy.. Since coming to the U.S, I have found the same Wahabi influence, and founded the International Quranic Center, with a website, to organize Quranists. So, we suffer the third wave of arrest. How could the Quranists help the U.S in this war of ideas against the terrorists? The war against terrorism is 90% war of ideas. This intellectual war has its unique aspects and rules. The Quranists are an Islamic group capable of defending the U.S in this ideological war against terrorism. Al Qaeda and all the terrorist organizations have real power in the war of ideas. But they cannot debate us with logic and evidence, so they resort to brute force, with government accomplices. So we are jailed, tortured, driven from out homes and made refugees in other countries. They issue fatwas calling for our death; thus proving once more that the Wahabi ideology cannot stand on its own feet, but requires the power of authorities to force it on people. The only way to confront and defeat Wahhabis is by using our ways and methods. We are Muslims, sincere about our faith and very much attached to and adhered to the Quran, and for the past thirty years, we never wavered, never retreated, we stood alone and stood firm, and despite the persecution and the lack of means, we managed to succeed in producing a genuine change in the Islamic interpretation and practices among many Muslims. In conclusion, despite many successes, we are still victims of the Wahabi ideology and persecution of a tyrannical regime in Egypt on one hand, and a total neglect and disregard from the American institutions on the other hand. السبيل الوحيد لمواجهة وهزيمة الوهابيين هو عن طريق استخدام طرق وأساليب لدينا. نحن مسلمون ومخلصة حول إيماننا وكثيرا المرفقة والالتزام بها القرآن ، وعلى مدى السنوات الثلاثين الماضية، ونحن لم يتردد ، وتراجع أبدا، ونحن وقفت وحدها وقفت الشركة ، وعلى الرغم من الاضطهاد وعدم وجود وسائل تمكنا من النجاح في انتاج تغيير حقيقي في التفسير والممارسات الإسلامية بين كثير من المسلمين.